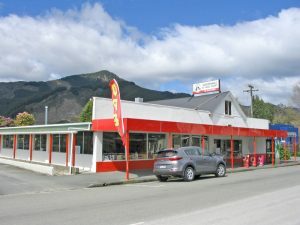 Panda Xpress is situated in the thriving township of Murchison on the main arterial route from Nelson to Canterbury and the West Coast. The business consists of a fifty-seat restaurant with a large fully equipped commercial kitchen. Panda Xpress provides takeaway and cabinet food, as well as a selection of grocery and convenience items for travelers, tourists and locals. The upstairs owner’s accommodation has been recently carpeted and fully refurbished to suit a family.